Thirteen years after the original Finding Nemo came out, Finding Dory is back to attempt to capture the same Pixar magic that the first film, and indeed many other films by the Pixar studio, captured and captivated audiences both young and old with. 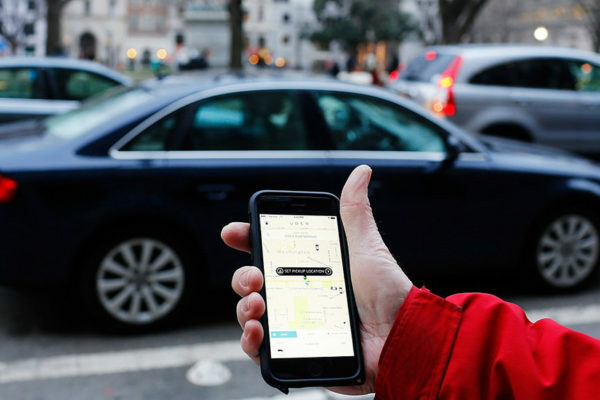 The most notable returns are from writer and director Andrew Stanton and TV talk show superstar Ellen DeGeneres, who stars as Dory. 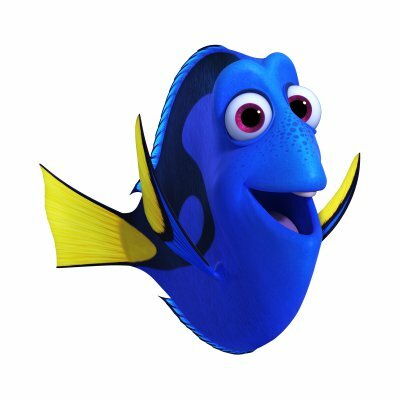 Dory is a forgetful fish who decides to go on a journey to find her parents, having just remembered that they exist. Her friends Marlin and Nemo also tag along for the ride, for no better reason than to have more characters from the first film return. 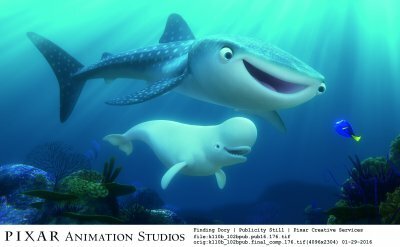 The film features very well animated sequences, both moments of action that are very fun to watch and even small features such as body language of the marine life being handled with great care. The cast also give great performances, my favourites being the sea lions and Hank the cranky octopus, both of whom were a joy to watch whenever they were on-screen. Dory (voice of Ellen DeGeneres), encounters Hank (voice of Ed O’Neill). The charm that Dory possessed in the Finding Nemo seems to be lost in this film however, as her constant forgetful behaviour becomes grating on the nerves. 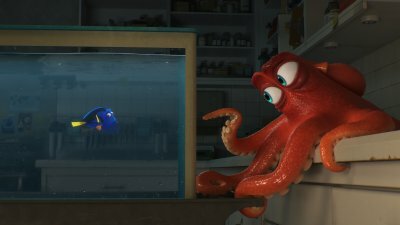 While it is funny in small doses, like in Finding Nemo, it becomes incessantly annoying in Finding Dory. Another problem the film has is the fact that it becomes rather tedious, and the story seems to follow the same structure as last year’s Inside Out, another film from Pixar. The plot structure is that as soon as Dory seems to be near her goal of finding her parents, another obstacle arrives in her way. A problem I have with this film is the same I have with Inside Out, so many obstacles are put in our protagonist’s way that I start to lose interest, as the plot is only going in circles. Kaitlin Olson as the voice of Destiny (the big one) and Ty Burrell as the voice of Bailey. Inside Out, however, had an interesting and never before seen world that we got to explore due to these obstacles. In Dory we only get to witness more water and fish, something I can see at the aquarium. The film’s plot is very played out for another reason, as it involves Dory and Marlin crossing the ocean to find someone again. To me there did not seem to be anything interesting that warranted a sequel to the original, until I saw Dory swim through some litter, making me wonder if the growing problem of sea pollution would be covered, an interesting theme to educate children of today. Disappointingly, nothing came from this brief moment. Overall the film feels more like a TV special than a film, especially as they cross the ocean in the opening section of the film, when it took the same fish a whole film to cross the ocean in the last film. The film is fun in parts, but tedious in others.